FCA Packaging provides a wide range of custom, just in time packaging products and solutions for businesses that require the shipping or storage of industrial products. We also work with Original Equipment Manufacturers (OEMs) who have highly-customized packaging requirements. 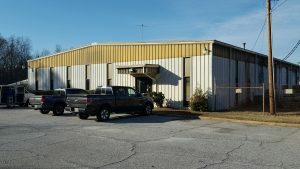 With a manufacturing plant in Simpsonville South Carolina, we build and design products manufactured from wood, steel, corrugated, or any other material that meets your needs. No matter what you’re looking to store or ship, we’ll ensure that your items will be protected by custom designed packaging that protects your product. Whether you’re shipping on a truck across country or shipping internationally, our packaging solutions will meet your requirements. Our engineers will work closely with sales to meet your requirements. Some packaging may even require testing including inclined impact, drop testing, compression, vibration and transportation testing, and more. We can do that in our ISTA-Certified Packaging Testing Lab. We will design product to meet your economic and usage parameters using wood, steel, plastic, or a hybrid design fit for the ideal usage objectives. We have worked with businesses in and around Simpsonville, as well as surrounding cities such as Columbia and Anderson, South Carolina. We also service businesses in surrounding areas such as Charlotte, North Carolina. We can ship to anywhere, or work with you regardless of location. Over the years we’ve designed and developed packaging for electrical equipment, engines, energy equipment, industrial fabric, heavy equipment, and delicate equipment. We’ve also worked with the aerospace and defense industries. Each year we produce packaging and shipping products that protect billions of dollars in products. Businesses rely on us for quick turnaround times on their orders. We typically complete orders within 24 hours of request, and for urgent orders can ship within 4 hours. With locations throughout the United States we are in close proximity to many of our clients. Our work is tailored to manufacturers that have complex and highly-customized packaging requirements. Through our design engineering services, just-in-time manufacturing, and ongoing tracking and management services, FCA Packaging provides a complete and cost-effective solution for your company’s needs. We can assist with large production runs or limited production runs. Our FCA Packaging plant in Simpsonville will build your packaging products to meet your quality and economic objectives. (309) 792-3444 or fill out our contact form to learn how engineers can assist you.